Posted on Wednesday, December 26th, 2018 at 5:43 pm. 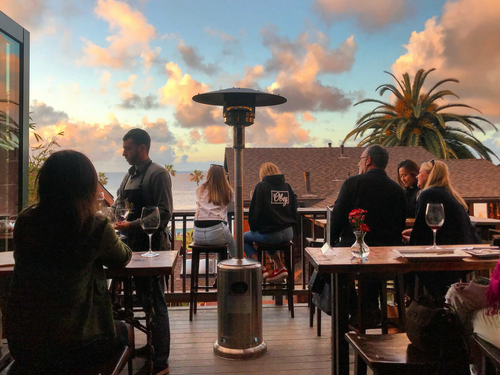 Want to enjoy the best sunset in the city while sipping on wonderful California wines, champion cheeses and outrageous olive oils? We are partnering with Venissimo Cheese to take you on a delicious California style tasting adventure! You’ll learn what separates the real deal from imposters in all three categories: wine, cheese and EVOO. This is a great opportunity to hang with old friends or make new ones. Tickets include 6 tastes of wine, generous samples of cheese, & olive oil samples. A small bites & wine menu will be available for additional purchase. Event begins promptly at 6:00pm, late arrivals might miss out on cheese samples! Seating is first come first serve. Must be 21 & over to join. No exceptions. Reserve your spot for $60 Must be 21 & over to join. No exceptions.